blue flame, and he named it potassium. (as cream of tartar, potassium bitartrate). of your body by weight is potassium. without which you would be dead, here. all things are one and you are one with all. just as much as with the synthetic. Since ancient times, potash was obtained by putting leaf or wood ashes in a pot, leaching the ashes with water, and evaporating the solution. Saltpeter was obtained from decaying vegetation, sewage, or farmyard manure, also leached and evaporated. 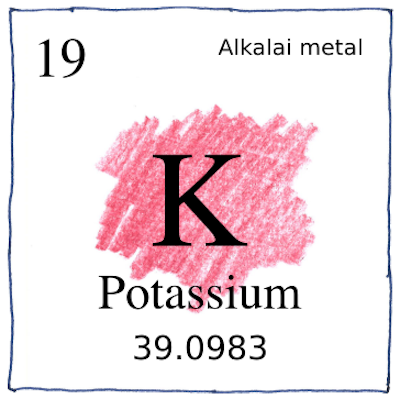 Potassium salts and sodium salts are chemically similar, so people did not realize that they were compounds of different elements.